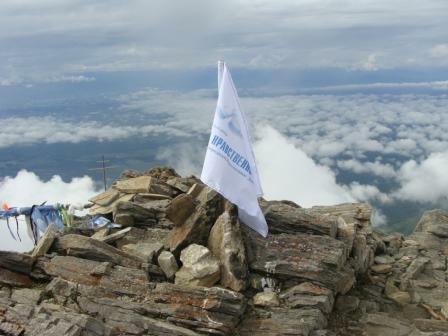 We are delighted to report that Michael Ustinov’s expedition to the Tunka range, a part of the Eastern Sayan mountains, has finished successfully. 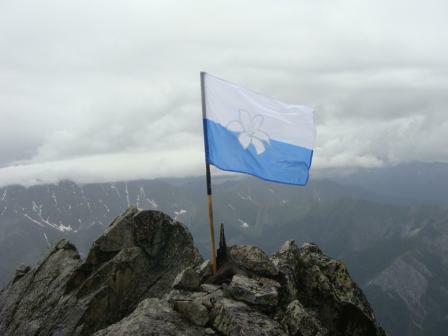 The Morality Movement flags were raised on the Peak of Love, the Peak of Friendship and at the Arshan pass. 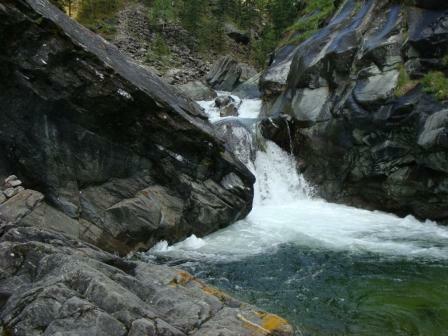 By a lucky coincidence, Michael’s mission was successfully finished one day before a big river flood occurred in the Republic of Buryatia and caused significant damages to the town of Arshan. 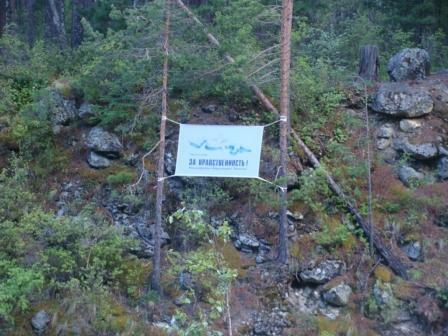 June 22nd: Arrival at the town of Arshan, seting up the camp, installation of the Morality movement banner on the opposite bank of the Kyngyrga river. June 23rd: 7:10 a.m. - departure for the Peak of Love. From 10:10 a.m. to 11:20 a.m. – time spent at the Peak of Love, raising the flag, taking pictures and recording videos. 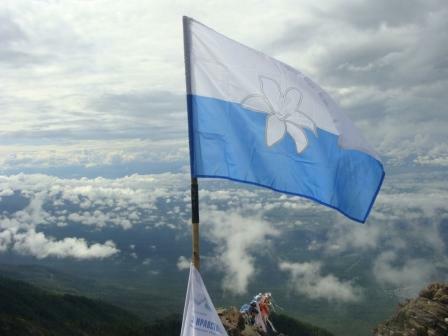 11:20 a.m. – departure for the Peak of Friendship, raising the flag, taking pictures. In the evening – arrival at the camp. June 24th: Rain. Staying at the camp, exploring the town of Arshan. 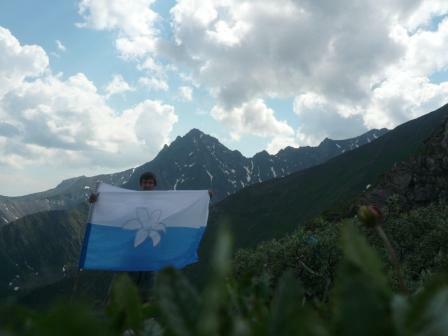 June 25th: Hike to the Arshan pass (1.3 miles), raising the flag, taking pictures, return to the camp. 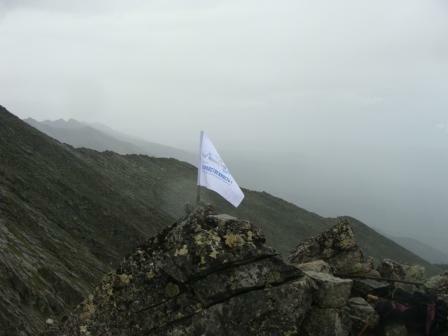 Our banner at the Arshan pass. 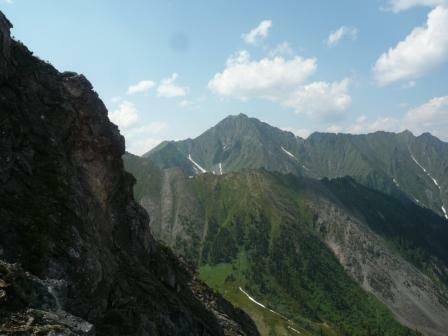 View from the Arshan pass. 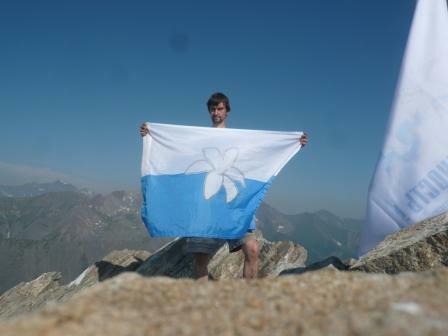 7:40 a.m. - another hike to the Peak of Love (to take more photos); 11:40 a.m. – return to the camp; 3:00 p.m - departure to Irkutsk.